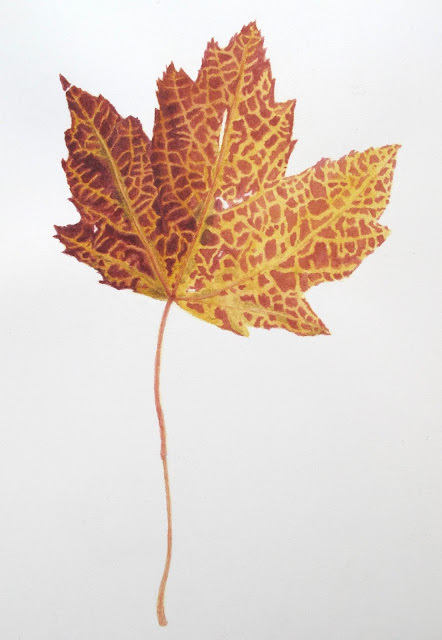 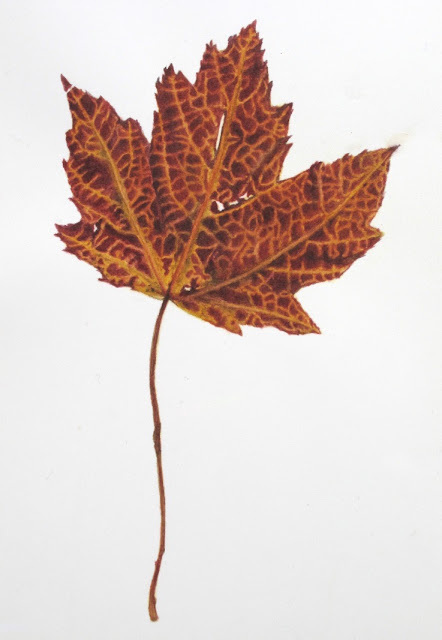 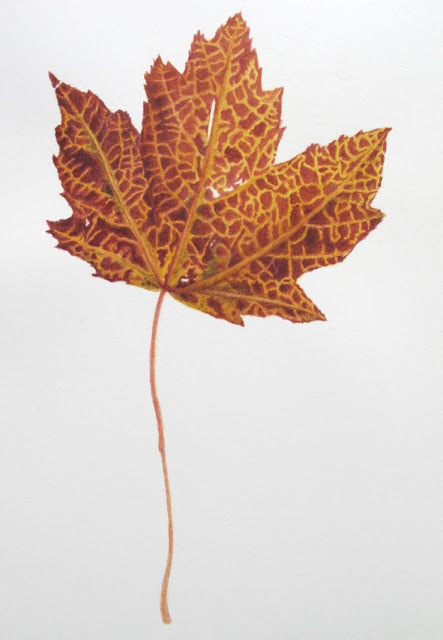 Seduced by its vibrant colours, Nadia painted this dried leaf specimen over several months this winter. It was a long journey and she thought she might never get there but it was worth the effort. 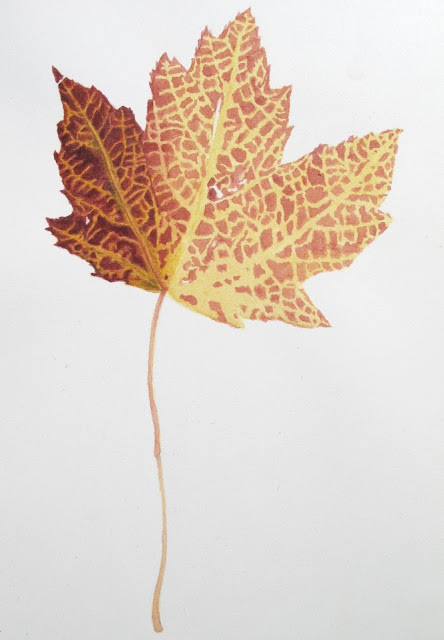 Below are the pictures I took of it as it developed along with the final painting so you can see how it came into colour before it reached completion.